These sturdy aluminium cold frames with toughened glass are the perfect solution to extend your growing possibilities. 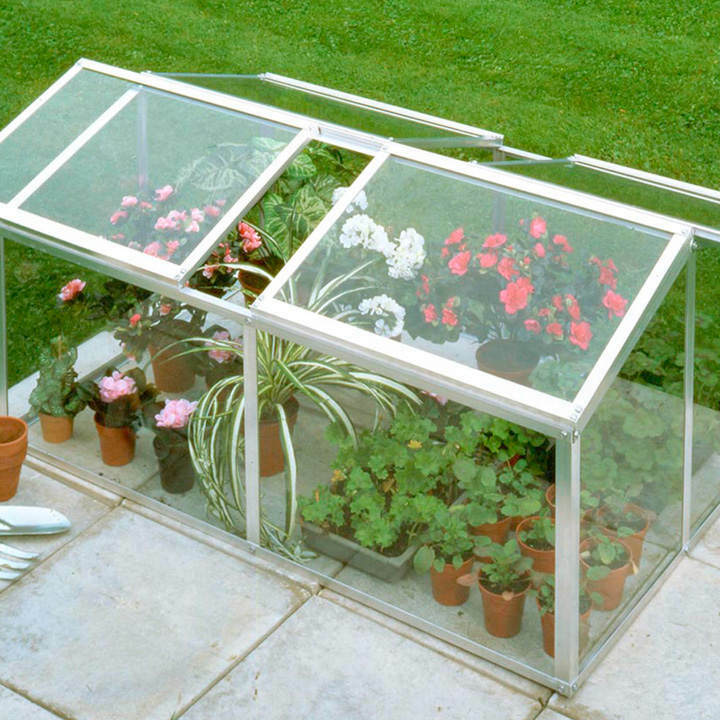 Particularly invaluable in spring to raise young plants. 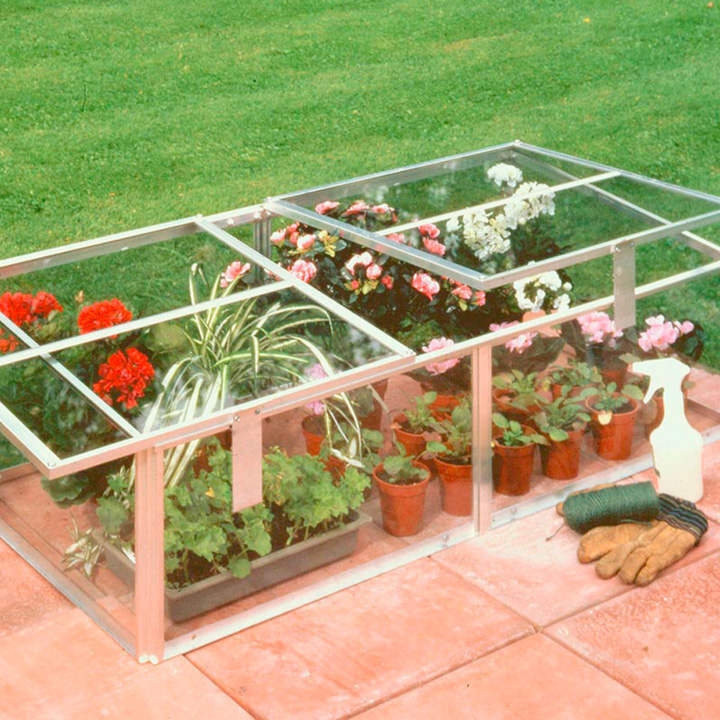 Available in two sizes, with unique opening tops that can be raised like ordinary cold frames, but also slide left and right. Available in two sizes: 129cm length x 63cm width x 38cm high and 127cm length x 87cm width x 64cm high.